Have you claimed your business on Google yet? A growing number of people now use Google Maps on their smartphone to find real estate businesses near them. You’ll want to make sure you’ve claimed your Google Business Listing so that you’re highly visible not just in search results but on the Google Map. Don’t miss out! Did you know that just like having a real estate portal listing or a Facebook Page for your business (or agent brand), you can also have a Google Business Listing? The Google My Business listing literally puts you on the map! As well as a Google business profile with address, description, opening hours, contact information, photos and reviews, your business location will be added, with a pin, to Google Maps so that people searching for real estate agents in the local area can see exactly where you’re located. More and more people head to Google Maps to search for local business these days. Do you? If not, you should try it – it’s a really great way to find local outlets and services, particularly if the service you are looking for requires someone in the vicinity of where you live or work. Local search has become more of a focus for Google because of the growing number of people accessing the internet from their phones and other mobile devices. This change in our device habits has prompted Google to adjust its search results pages, particularly for results carried out on mobile. “Proximity to searcher is the new #1 ranking factor in local search results today.” – Darren Shaw, Moz.com SEO expert. Someone searching for “coffee” on their smartphone is more likely to be looking for a local coffee shop than a page about coffee or an online store for ordering coffee. Because of this, local businesses are listed first – in fact the closest coffee shops to the searcher’s location at the time of searching will be at the top of the list. My team and I have been helping real estate agents and agencies put their businesses on the map, Google Map that is, since we launched. 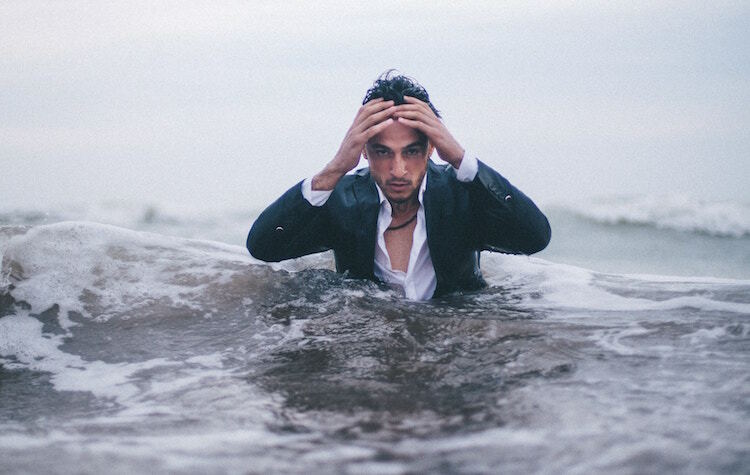 We log into accounts day in and day out, and we sometimes have to fix or delete, or “unpick” as I like to call it, many of our clients’ Google Business accounts because they’ve been set up incorrectly. In fact, we do this across the board, with all social media accounts, because unwittingly most people set up duplicate accounts all over the web without realising what they’ve done. So helping you set up Facebook, Google, LinkedIn, Twitter, Instagram and Rate My Agent accounts is something we’ve become experts in. Did you also know that all of the Google products are interlinked? This can cause some confusion. Once you’re logged into Google Business (which you can do with any Google account you own such as Gmail) it’s easy to accidentally get redirected to another Google product such as Google Plus without realising it. If you’re not careful, you can end up using the wrong account and inadvertently using your business account for personal purposes, or vice versa. To avoid this confusion, make sure you don’t create a brand new account for each Google product you use. Have a master Google account or Gmail address and always use that. Google has been doing a great job at streamlining all of their interfaces, but unless you go in and out of the Google systems like we do every day, you’ll quite easily find yourself getting lost down the rabbit hole. It’s worth noting that just like Facebook, Google accounts can have “User login accounts” and then separate “Brand accounts”. So you need to know how to set up and switch between the two. If you’ve got yourself in a muddle with too many different Google accounts and social media accounts, or you just find the whole thing confusing, get in touch and we can help you out. A Google Business Listing is both a Google map pin and a page of information about your business on Google. 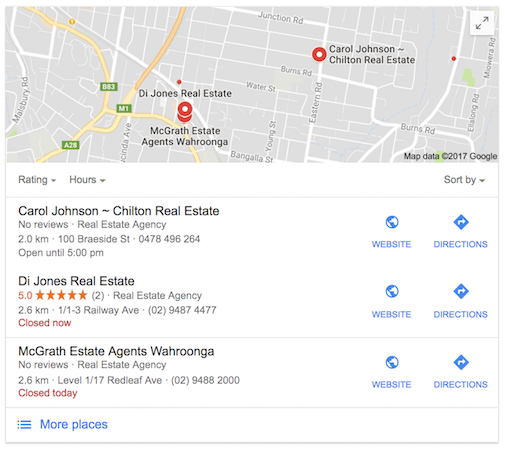 Many real estate agencies already have a Google Business Listing set up for them. If you are not sure if you have one yet or not, you need to search to see if one exists (I suggest you do that via the map rather than via search as it will be easier to find). It’s quite common for businesses to be in a slightly wrong location on Google Maps so check carefully. Your business may already be on the map but further down the street than your actual location. If a business listing has already been set up for you by Google, then you can claim it. If you don’t have one then you can create one from scratch. Annoyingly, the name you give yourself or your real estate business in your Google Listing can have a positive or detrimental effect as to whether your listing shows up in Google search results. For example, a business named “Red Leaf Real Estate” might be more likely to come up in a user local search for “real estate” than a business named “Red Leaf Property”. Think about what the most common search terms for your business may be. This is more relevant for real estate agents. Don’t call yourself Team [Surname] if that’s not what people would typically know to type. 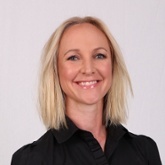 Use your real name, the words ‘real estate agent’ and your brand name. Recently, it’s become far harder to place multiple map pins over the top of each other at the same address. If another business is incorrectly using your address on Google Maps because they’ve moved, you can “suggest an edit” and mark them as permanently closed. Your Google Business Listing won’t show up on Google until it’s verified. You can verify your listing really easily if you have an existing real estate agency website or agent website which has Google Analytics code installed – just follow the instructions for instant verification. If you don’t have a website, you have to wait for a letter (or postcard as Google calls it) to be sent to you in the postal mail with your verification code. This can be frustratingly slow, but I guess we are dealing with physical addresses here, so it makes sense for Google to verify a listing this way. Is your Google Business Listing correct? Google provides full instructions on editing your Business Listing. However if you find it hard to navigate Google or keep on top of your social media sites, it may be more efficient for you to outsource this task. This is a service that the Hoole.co team offers and it’s our most popular starter package. 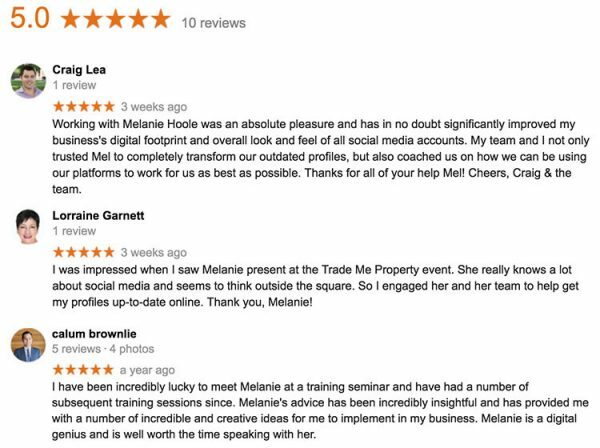 Google Reviews – what others say about your business is important too! 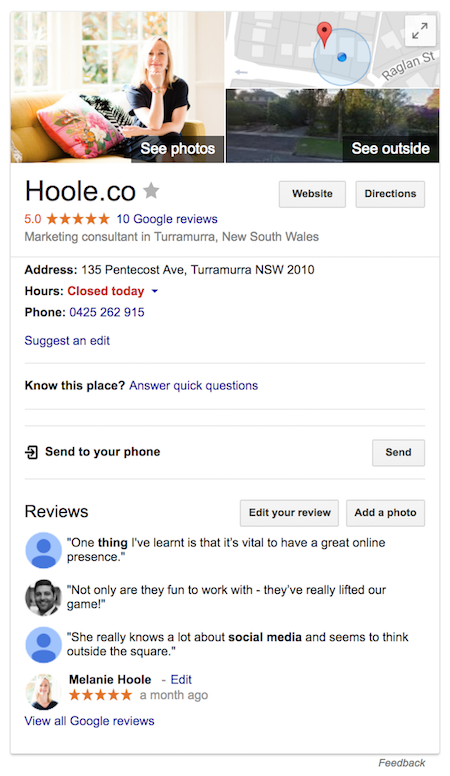 Once you have a Google Business Listing, people can leave reviews for you by adding them directly to your profile on Google. These reviews will show up in Google search (on your listing page) both as individual reviews and as an overall star rating. Your RateMyAgent scores are also collected by Google and added to your listing. Google is also using Crowdsourcing! Did you know that Google has started to enlist the general public to become Google Local Guides? Google Local Guides are members of the public who review and add photographs of businesses in their local area. They can also add new places, edit information such as address and phone number if they’re incorrect, and answer questions that pop up on Google Maps such as “Is this place wheelchair accessible?”. In return for this, they’re awarded points and badges that give them special perks on Google and with other partners. Google introduced this feature to get more information about local businesses and to try to make reviews more accurate – even Google needs help creating local content! This user created content is similar to how Trip Advisor works, but on a much larger scale. If you want to learn more and become a Google Guide for your area, you can find out more in the Google Local Guide YouTube channel. Help Google and Google will help you! Why become a local guide? Well apart from the potential freebies such as free Google Drive storage and first access to new products, you could also boost your own real estate profile. It’s always a good idea to stay on Google’s good side and helping them out by being a local guide could possibly give you special privileges that could help out your business in the future. For example, a new feature is being added to Google Maps, which will enable local guides to upload videos to Google Business Listings. If you register as a Google Local Guide, you’ll be one of the first to be able to upload videos to your listing. If you’re not on the map, take action now! As local search continues to be more of a focus for Google moving forward, real estate businesses that don’t keep their business listings on Google up-to-date will be at a huge disadvantage. If you don’t have time to figure out how to get to grips with Google Business Listings, or you can’t figure out how to fix an incorrect listing, the team at Hoole.co can do this for you as part of our social media management services. Get in touch today for a chat about how we can help put your business on the map and make sure it’s visible for Google searchers.